Minor II Bluetooth is a hardworking, wireless, in-ear headphones with Bluetooth Qualcomm® aptX™ technology. It offers 12 hours of wireless playtime on a single charge and boasts an innovative ear-fit system with an adjustable loop for an optimised and ergonomic fit. The multi-directional control knob lets you control your music and phone functionality with ease. Automatically pause your music when magnetically attaching the two earpieces together. Built-in microphones allow you to have conversations or record voice memos through your device. 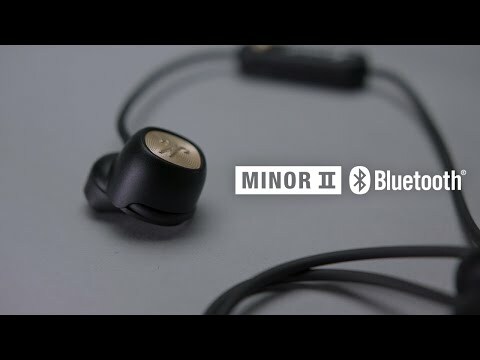 Imate Marshall Minor II Bluetooth Black , ali ste ga že uporabljali? Sluchadla hraju vynikajuco, mozme ich kludne porovnavat s "On-Ear" modelmi. Hladal som nejaku alternativu na cestky k mojim Sennheiser Momentum On-Ear a nasiel som. Obaval som sa dizajnu, ale sadli perfektne. Vydrz na baterky je uzasna. Po mesiaci kazdodenneho pouzivania som zatial nenasiel ziaden minusy.